The conclusion comes from a study of couples who had been together for years. Trying new things together — even for a few minutes — can improve your relationship, psychological research finds. Something as simple as playing a new game, cooking a novel meal or listening to some music and dancing around the kitchen can do the trick — as long as it is exciting. New activities help to fight the natural boredom that sets in after a relationship is past the honeymoon period. 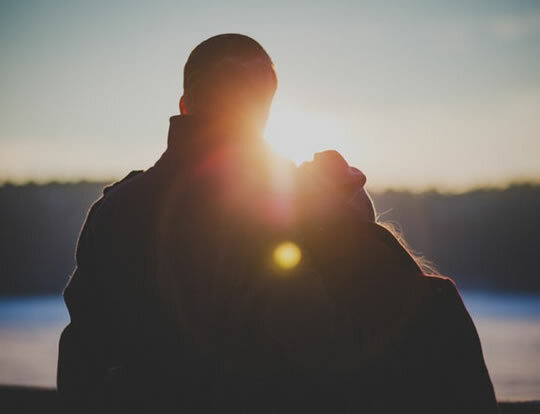 New, fun and exciting activities help to continue the process of ‘expanding the self’ that happens when a couple meet and start getting to know each other, the researchers theorise. The conclusions come from a study in which many couples who had been together for years tried a simple and novel activity together. One activity, for example, involved the couple being velcroed together at the wrist and ankle, then they were told to carry pillows across a barrier without using their hands, arms or teeth. The results showed that people who took part in novel, fun and exciting activities rated their relationship quality as higher. When interacting afterwards, couples were less hostile to each other and showed more support and acceptance. “…when two people first enter a relationship, typically engaging in frequent, intense conversations with considerable risk-taking and self-disclosure, they are “expanding their selves” at a rapid rate. “…for further rapid expansion of all these sorts would seem inevitably to decrease. “If, however, the couple engages in shared self-expanding activities (activities now other than getting to know each other), rapid self-expansion should remain associated with the relationship. The study was published in the Journal of Personality and Social Psychology (Aron et al., 2000).